A speculative bubble exists in the event of large, sustained overpricing of some class of assets. One factor that frequently contributes to a bubble is the presence of buyers who purchase an asset based solely on the expectation that they can later resell it at a higher price, rather than calculating the income it will generate in the future. If there is a bubble, there is also a risk of a crash in asset prices: market participants will go on buying only as long as they expect others to buy, and when many decide to sell the price will fall. However, it is difficult to predict whether an asset's price actually equals its fundamental value, so it is hard to detect bubbles reliably. Some economists insist that bubbles never or almost never occur. Well-known examples of bubbles (or purported bubbles) and crashes in stock prices and other asset prices include the 17th century Dutch tulip mania, the 18th century South Sea Bubble, the Wall Street Crash of 1929, the Japanese property bubble of the 1980s, the crash of the dot-com bubble in 2000–2001, and the now-deflating United States housing bubble. The 2000s sparked a real estate bubble where housing prices were increasing significantly as an asset good. When a country that maintains a fixed exchange rate is suddenly forced to devalue its currency due to accruing an unsustainable current account deficit, this is called a currency crisis or balance of payments crisis. When a country fails to pay back its sovereign debt, this is called a sovereign default. While devaluation and default could both be voluntary decisions of the government, they are often perceived to be the involuntary results of a change in investor sentiment that leads to a sudden stop in capital inflows or a sudden increase in capital flight. Several currencies that formed part of the European Exchange Rate Mechanism suffered crises in 1992–93 and were forced to devalue or withdraw from the mechanism. Another round of currency crises took place in Asia in 1997–98. Many Latin American countries defaulted on their debt in the early 1980s. The 1998 Russian financial crisis resulted in a devaluation of the ruble and default on Russian government bonds. Negative GDP growth lasting two or more quarters is called a recession. An especially prolonged or severe recession may be called a depression, while a long period of slow but not necessarily negative growth is sometimes called economic stagnation. Some economists argue that many recessions have been caused in large part by financial crises. One important example is the Great Depression, which was preceded in many countries by bank runs and stock market crashes. The subprime mortgage crisis and the bursting of other real estate bubbles around the world also led to recession in the U.S. and a number of other countries in late 2008 and 2009. Some economists argue that financial crises are caused by recessions instead of the other way around, and that even where a financial crisis is the initial shock that sets off a recession, other factors may be more important in prolonging the recession. In particular, Milton Friedman and Anna Schwartz argued that the initial economic decline associated with the crash of 1929 and the bank panics of the 1930s would not have turned into a prolonged depression if it had not been reinforced by monetary policy mistakes on the part of the Federal Reserve, a position supported by Ben Bernanke. It is often observed that successful investment requires each investor in a financial market to guess what other investors will do. George Soros has called this need to guess the intentions of others 'reflexivity'. Similarly, John Maynard Keynes compared financial markets to a beauty contest game in which each participant tries to predict which model other participants will consider most beautiful. Furthermore, in many cases investors have incentives to coordinate their choices. For example, someone who thinks other investors want to buy lots of Japanese yen may expect the yen to rise in value, and therefore has an incentive to buy yen too. Likewise, a depositor in IndyMac Bank who expects other depositors to withdraw their funds may expect the bank to fail, and therefore has an incentive to withdraw too. Economists call an incentive to mimic the strategies of others strategic complementarity. It has been argued that if people or firms have a sufficiently strong incentive to do the same thing they expect others to do, then self-fulfilling prophecies may occur. For example, if investors expect the value of the yen to rise, this may cause its value to rise; if depositors expect a bank to fail this may cause it to fail. Therefore, financial crises are sometimes viewed as a vicious circle in which investors shun some institution or asset because they expect others to do so. Leverage, which means borrowing to finance investments, is frequently cited as a contributor to financial crises. When a financial institution (or an individual) only invests its own money, it can, in the very worst case, lose its own money. But when it borrows in order to invest more, it can potentially earn more from its investment, but it can also lose more than all it has. Therefore, leverage magnifies the potential returns from investment, but also creates a risk of bankruptcy. Since bankruptcy means that a firm fails to honor all its promised payments to other firms, it may spread financial troubles from one firm to another (see 'Contagion' below). The average degree of leverage in the economy often rises prior to a financial crisis. For example, borrowing to finance investment in the stock market ("margin buying") became increasingly common prior to the Wall Street Crash of 1929. Another factor believed to contribute to financial crises is asset-liability mismatch, a situation in which the risks associated with an institution's debts and assets are not appropriately aligned. For example, commercial banks offer deposit accounts which can be withdrawn at any time and they use the proceeds to make long-term loans to businesses and homeowners. The mismatch between the banks' short-term liabilities (its deposits) and its long-term assets (its loans) is seen as one of the reasons bank runs occur (when depositors panic and decide to withdraw their funds more quickly than the bank can get back the proceeds of its loans). Likewise, Bear Stearns failed in 2007–08 because it was unable to renew the short-term debt it used to finance long-term investments in mortgage securities. In an international context, many emerging market governments are unable to sell bonds denominated in their own currencies, and therefore sell bonds denominated in US dollars instead. This generates a mismatch between the currency denomination of their liabilities (their bonds) and their assets (their local tax revenues), so that they run a risk of sovereign default due to fluctuations in exchange rates. Many analyses of financial crises emphasize the role of investment mistakes caused by lack of knowledge or the imperfections of human reasoning. Behavioural finance studies errors in economic and quantitative reasoning. Psychologist Torbjorn K A Eliazon has also analyzed failures of economic reasoning in his concept of 'œcopathy'. Historians, notably Charles P. Kindleberger, have pointed out that crises often follow soon after major financial or technical innovations that present investors with new types of financial opportunities, which he called "displacements" of investors' expectations. Early examples include the South Sea Bubble and Mississippi Bubble of 1720, which occurred when the notion of investment in shares of company stock was itself new and unfamiliar, and the Crash of 1929, which followed the introduction of new electrical and transportation technologies. More recently, many financial crises followed changes in the investment environment brought about by financial deregulation, and the crash of the dot com bubble in 2001 arguably began with "irrational exuberance" about Internet technology. Unfamiliarity with recent technical and financial innovations may help explain how investors sometimes grossly overestimate asset values. Also, if the first investors in a new class of assets (for example, stock in "dot com" companies) profit from rising asset values as other investors learn about the innovation (in our example, as others learn about the potential of the Internet), then still more others may follow their example, driving the price even higher as they rush to buy in hopes of similar profits. If such "herd behaviour" causes prices to spiral up far above the true value of the assets, a crash may become inevitable. If for any reason the price briefly falls, so that investors realize that further gains are not assured, then the spiral may go into reverse, with price decreases causing a rush of sales, reinforcing the decrease in prices. Governments have attempted to eliminate or mitigate financial crises by regulating the financial sector. One major goal of regulation is transparency: making institutions' financial situations publicly known by requiring regular reporting under standardized accounting procedures. Another goal of regulation is making sure institutions have sufficient assets to meet their contractual obligations, through reserve requirements, capital requirements, and other limits on leverage. Some financial crises have been blamed on insufficient regulation, and have led to changes in regulation in order to avoid a repeat. For example, the former Managing Director of the International Monetary Fund, Dominique Strauss-Kahn, has blamed the financial crisis of 2008 on 'regulatory failure to guard against excessive risk-taking in the financial system, especially in the US'. Likewise, the New York Times singled out the deregulation of credit default swaps as a cause of the crisis. International regulatory convergence has been interpreted in terms of regulatory herding, deepening market herding (discussed above) and so increasing systemic risk. From this perspective, maintaining diverse regulatory regimes would be a safeguard. Fraud has played a role in the collapse of some financial institutions, when companies have attracted depositors with misleading claims about their investment strategies, or have embezzled the resulting income. Examples include Charles Ponzi's scam in early 20th century Boston, the collapse of the MMM investment fund in Russia in 1994, the scams that led to the Albanian Lottery Uprising of 1997, and the collapse of Madoff Investment Securities in 2008. Many rogue traders that have caused large losses at financial institutions have been accused of acting fraudulently in order to hide their trades. Fraud in mortgage financing has also been cited as one possible cause of the 2008 subprime mortgage crisis; government officials stated on 23 September 2008 that the FBI was looking into possible fraud by mortgage financing companies Fannie Mae and Freddie Mac, Lehman Brothers, and insurer American International Group. Likewise it has been argued that many financial companies failed in the recent crisis because their managers failed to carry out their fiduciary duties. Contagion refers to the idea that financial crises may spread from one institution to another, as when a bank run spreads from a few banks to many others, or from one country to another, as when currency crises, sovereign defaults, or stock market crashes spread across countries. When the failure of one particular financial institution threatens the stability of many other institutions, this is called systemic risk. One widely cited example of contagion was the spread of the Thai crisis in 1997 to other countries like South Korea. However, economists often debate whether observing crises in many countries around the same time is truly caused by contagion from one market to another, or whether it is instead caused by similar underlying problems that would have affected each country individually even in the absence of international linkages. Some financial crises have little effect outside of the financial sector, like the Wall Street crash of 1987, but other crises are believed to have played a role in decreasing growth in the rest of the economy. There are many theories why a financial crisis could have a recessionary effect on the rest of the economy. These theoretical ideas include the 'financial accelerator', 'flight to quality' and 'flight to liquidity', and the Kiyotaki-Moore model. Some 'third generation' models of currency crises explore how currency crises and banking crises together can cause recessions. Austrian School economists Ludwig von Mises and Friedrich Hayek discussed the business cycle starting with Mises' Theory of Money and Credit, published in 1912. Recurrent major depressions in the world economy at the pace of 20 and 50 years have been the subject of studies since Jean Charles Léonard de Sismondi (1773–1842) provided the first theory of crisis in a critique of classical political economy's assumption of equilibrium between supply and demand. Developing an economic crisis theory became the central recurring concept throughout Karl Marx's mature work. Marx's law of the tendency for the rate of profit to fall borrowed many features of the presentation of John Stuart Mill's discussion Of the Tendency of Profits to a Minimum (Principles of Political Economy Book IV Chapter IV). The theory is a corollary of the Tendency towards the Centralization of Profits. In a capitalist system, successfully-operating businesses return less money to their workers (in the form of wages) than the value of the goods produced by those workers (i.e. the amount of money the products are sold for). This profit first goes towards covering the initial investment in the business. In the long-run, however, when one considers the combined economic activity of all successfully-operating business, it is clear that less money (in the form of wages) is being returned to the mass of the population (the workers) than is available to them to buy all of these goods being produced. Furthermore, the expansion of businesses in the process of competing for markets leads to an abundance of goods and a general fall in their prices, further exacerbating the tendency for the rate of profit to fall. The viability of this theory depends upon two main factors: firstly, the degree to which profit is taxed by government and returned to the mass of people in the form of welfare, family benefits and health and education spending; and secondly, the proportion of the population who are workers rather than investors/business owners. Given the extraordinary capital expenditure required to enter modern economic sectors like airline transport, the military industry, or chemical production, these sectors are extremely difficult for new businesses to enter and are being concentrated in fewer and fewer hands. Empirical and econometric research continues especially in the world systems theory and in the debate about Nikolai Kondratiev and the so-called 50-years Kondratiev waves. Major figures of world systems theory, like Andre Gunder Frank and Immanuel Wallerstein, consistently warned about the crash that the world economy is now facing. World systems scholars and Kondratiev cycle researchers always implied that Washington Consensus oriented economists never understood the dangers and perils, which leading industrial nations will be facing and are now facing at the end of the long economic cycle which began after the oil crisis of 1973. Hyman Minsky has proposed a post-Keynesian explanation that is most applicable to a closed economy. He theorized that financial fragility is a typical feature of any capitalist economy. High fragility leads to a higher risk of a financial crisis. To facilitate his analysis, Minsky defines three approaches to financing firms may choose, according to their tolerance of risk. They are hedge finance, speculative finance, and Ponzi finance. Ponzi finance leads to the most fragility. Financial fragility levels move together with the business cycle. After a recession, firms have lost much financing and choose only hedge, the safest. As the economy grows and expected profits rise, firms tend to believe that they can allow themselves to take on speculative financing. In this case, they know that profits will not cover all the interest all the time. Firms, however, believe that profits will rise and the loans will eventually be repaid without much trouble. More loans lead to more investment, and the economy grows further. Then lenders also start believing that they will get back all the money they lend. Therefore, they are ready to lend to firms without full guarantees of success. Lenders know that such firms will have problems repaying. Still, they believe these firms will refinance from elsewhere as their expected profits rise. This is Ponzi financing. In this way, the economy has taken on much risky credit. Now it is only a question of time before some big firm actually defaults. Lenders understand the actual risks in the economy and stop giving credit so easily. Refinancing becomes impossible for many, and more firms default. If no new money comes into the economy to allow the refinancing process, a real economic crisis begins. During the recession, firms start to hedge again, and the cycle is closed. Mathematical approaches to modeling financial crises have emphasized that there is often positive feedback between market participants' decisions (see strategic complementarity). Positive feedback implies that there may be dramatic changes in asset values in response to small changes in economic fundamentals. For example, some models of currency crises (including that of Paul Krugman) imply that a fixed exchange rate may be stable for a long period of time, but will collapse suddenly in an avalanche of currency sales in response to a sufficient deterioration of government finances or underlying economic conditions. According to some theories, positive feedback implies that the economy can have more than one equilibrium. There may be an equilibrium in which market participants invest heavily in asset markets because they expect assets to be valuable. This is the type of argument underlying Diamond and Dybvig's model of bank runs, in which savers withdraw their assets from the bank because they expect others to withdraw too. Likewise, in Obstfeld's model of currency crises, when economic conditions are neither too bad nor too good, there are two possible outcomes: speculators may or may not decide to attack the currency depending on what they expect other speculators to do. A variety of models have been developed in which asset values may spiral excessively up or down as investors learn from each other. In these models, asset purchases by a few agents encourage others to buy too, not because the true value of the asset increases when many buy (which is called "strategic complementarity"), but because investors come to believe the true asset value is high when they observe others buying. In "herding" models, it is assumed that investors are fully rational, but only have partial information about the economy. In these models, when a few investors buy some type of asset, this reveals that they have some positive information about that asset, which increases the rational incentive of others to buy the asset too. Even though this is a fully rational decision, it may sometimes lead to mistakenly high asset values (implying, eventually, a crash) since the first investors may, by chance, have been mistaken. Herding models, based on Complexity Science, indicate that it is the internal structure of the market, not external influences, which is primarily responsible for crashes. In "adaptive learning" or "adaptive expectations" models, investors are assumed to be imperfectly rational, basing their reasoning only on recent experience. In such models, if the price of a given asset rises for some period of time, investors may begin to believe that its price always rises, which increases their tendency to buy and thus drives the price up further. Likewise, observing a few price decreases may give rise to a downward price spiral, so in models of this type large fluctuations in asset prices may occur. Agent-based models of financial markets often assume investors act on the basis of adaptive learning or adaptive expectations. The bursting of the South Sea Bubble and Mississippi Bubble in 1720 is regarded as the first modern financial crisis. A noted survey of financial crises is This Time is Different: Eight Centuries of Financial Folly (Reinhart & Rogoff 2009), by economists Carmen Reinhart and Kenneth Rogoff, who are regarded as among the foremost historians of financial crises. In this survey, they trace the history of financial crisis back to sovereign defaults – default on public debt, – which were the form of crisis prior to the 18th century and continue, then and now causing private bank failures; crises since the 18th century feature both public debt default and private debt default. Reinhart and Rogoff also class debasement of currency and hyperinflation as being forms of financial crisis, broadly speaking, because they lead to unilateral reduction (repudiation) of debt. Reinhart and Rogoff trace inflation (to reduce debt) to Dionysius of Syracuse, of the 4th century BC, and begin their "eight centuries" in 1258; debasement of currency also occurred under the Roman empire and Byzantine empire. Among the earliest crises Reinhart and Rogoff study is the 1340 default of England, due to setbacks in its war with France (the Hundred Years' War; see details). 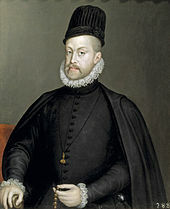 Further early sovereign defaults include seven defaults by imperial Spain, four under Philip II, three under his successors. 1637: Bursting of tulip mania in the Netherlands – while tulip mania is popularly reported as an example of a financial crisis, and was a speculative bubble, modern scholarship holds that its broader economic impact was limited to negligible, and that it did not precipitate a financial crisis. 1720: Bursting of South Sea Bubble (Great Britain) and Mississippi Bubble (France) – earliest of modern financial crises; in both cases the company assumed the national debt of the country (80–85% in Great Britain, 100% in France), and thereupon the bubble burst. The resulting crisis of confidence probably had a deep impact on the financial and political development of France. Crisis of 1763 - started in Amsterdam, begun by the collapse of Johann Ernst Gotzkowsky and Leendert Pieter de Neufville's bank, spread to Germany and Scandinavia. France's Financial and Debt Crisis (1783–1788)- France severe financial crisis due to the immense debt accrued through the French involvement in the Seven Years' War (1756–1763) and the American Revolution (1775-1783). Financial Crisis of 1818 - in England caused banks to call in loans and curtail new lending, draining specie out of the U.S.
Wall Street on the morning of 14 May during the Panic of 1884. Walter Bagehot (1873), Lombard Street: A Description of the Money Market. Charles P. Kindleberger and Robert Aliber (2005), Manias, Panics, and Crashes: A History of Financial Crises (Palgrave Macmillan, 2005 ISBN 978-1-4039-3651-6). Hyman P. Minsky (1986, 2008), Stabilizing an Unstable Economy. Reinhart, Carmen; Rogoff, Kenneth (2009). This Time is Different: Eight Centuries of Financial Folly. Princeton University Press. p. 496. ISBN 978-0-691-14216-6. Ferguson, Niall (2009). The Ascent of Money: A Financial History of the World. Penguin. p. 448. ISBN 978-0-14-311617-2. Joachim Vogt (2014), Fear, Folly, and Financial Crises – Some Policy Lessons from History, UBS Center Public Papers, Issue 2, UBS International Center of Economics in Society, Zurich. Franklin Allen and Douglas Gale (2000), "Financial contagion," Journal of Political Economy 108 (1), pp. 1–33. Franklin Allen and Douglas Gale (2007), Understanding Financial Crises. Charles W. Calomiris and Stephen H. Haber (2014), Fragile by Design: The Political Origins of Banking Crises and Scarce Credit, Princeton, NJ: Princeton University Press. Jean-Charles Rochet (2008), Why Are There So Many Banking Crises? The Politics and Policy of Bank Regulation. R. Glenn Hubbard, ed., (1991) Financial Markets and Financial Crises. Douglas Diamond and Philip Dybvig (1983), 'Bank runs, deposit insurance, and liquidity'. Journal of Political Economy 91 (3). Luc Laeven and Fabian Valencia (2008), 'Systemic banking crises: a new database'. International Monetary Fund Working Paper 08/224. Thomas Marois (2012), States, Banks and Crisis: Emerging Finance Capitalism in Mexico and Turkey, Edward Elgar Publishing Limited, Cheltenham, UK. Didier Sornette (2003), Why Stock Markets Crash, Princeton University Press. Robert J. Shiller (1999, 2006), Irrational Exuberance. Markus Brunnermeier (2008), 'Bubbles', New Palgrave Dictionary of Economics, 2nd ed. Markus K. Brunnermeier (2001), Asset Pricing under Asymmetric Information: Bubbles, Crashes, Technical Analysis, and Herding, Oxford University Press. ISBN 0-19-829698-3. Harmon D, Lagi M, de Aguiar MAM, Chinellato DD, Braha D, Epstein IR, Bar-Yam Y. (2015), Anticipating Economic Market Crises Using Measures of Collective Panic. PLoS ONE 10(7). Acocella, N. Di Bartolomeo, G. and Hughes Hallett, A. , ‘Central banks and economic policy after the crisis: what have we learned?’, ch. 5 in: Baker, H.K. and Riddick, L.A. (eds. ), ‘Survey of International Finance’, Oxford University Press. Paul Krugman (1995), Currencies and Crises. Craig Burnside, Martin Eichenbaum, and Sergio Rebelo (2008), 'Currency crisis models', New Palgrave Dictionary of Economics, 2nd ed. Maurice Obstfeld (1996), 'Models of currency crises with self-fulfilling features'. European Economic Review 40. Stephen Morris and Hyun Song Shin (1998), 'Unique equilibrium in a model of self-fulfilling currency attacks'. American Economic Review 88 (3). Barry Eichengreen (2004), Capital Flows and Crises. Charles Goodhart and P. Delargy (1998), 'Financial crises: plus ça change, plus c'est la même chose'. International Finance 1 (2), pp. 261–87. Jean Tirole (2002), Financial Crises, Liquidity, and the International Monetary System. Guillermo Calvo (2005), Emerging Capital Markets in Turmoil: Bad Luck or Bad Policy? Barry Eichengreen (2002), Financial Crises: And What to Do about Them. Charles Calomiris (1998), 'Blueprints for a new global financial architecture'. Murray Rothbard (1963), America`s Great Depression. Milton Friedman and Anna Schwartz (1971), A Monetary History of the United States. Ben S. Bernanke (2000), Essays on the Great Depression. Robert F. Bruner (2007), The Panic of 1907. Lessons Learned from the Market's Perfect Storm. Barry Eichengreen and Peter Lindert, eds., (1992), The International Debt Crisis in Historical Perspective. Joseph Fried, Who Really Drove the Economy into the Ditch (New York: Algora Publishing, 2012) ISBN 978-0-87586-942-1 (available online). Fengbo Zhang (2008): 1. Perspective on the United States Sub-prime Mortgage Crisis , 2. Accurately Forecasting Trends of the Financial Crisis , 3. Stop Arguing about Socialism versus Capitalism . Robert J. Shiller (2008), The Subprime Solution: How Today's Global Financial Crisis Happened, and What to Do About It. ISBN 0-691-13929-6. Markus Brunnermeier (2009), 'Deciphering the liquidity and credit crunch 2007–2008'. Journal of Economic Perspectives 23 (1), pp. 77–100. Paul Krugman (2008), The Return of Depression Economics and the Crisis of 2008. ISBN 0-393-07101-4. "The myths about the economic crisis, the reformist left and economic democracy" by Takis Fotopoulos, The International Journal of Inclusive Democracy, vol 4, no 4, Oct. 2008. Williams, Mark T. (March 2010). "Uncontrolled Risk: The Lessons of Lehman Brothers and How Systemic Risk Can Still Bring Down the World Financial System". Mcgraw-Hill. Dwyer, Gerald P. and Paula Tkac. 2009. "The Financial Crisis of 2008 in Fixed-income Markets" Journal of International Money and Finance 28 (December 2009), 1293–1316, available in working paper version at http://papers.ssrn.com/sol3/papers.cfm?abstract_id=1464891. Harmon D, Lagi M, de Aguiar MAM, Chinellato DD, Braha D, Epstein IR, Bar-Yam Y. 2015. "Anticipating Economic Market Crises Using Measures of Collective Panic." PLoS ONE 10(7). Muñoz-Martínez, Hepzibah and Marois, Thomas (2014) 'Capital Fixity and Mobility in Response to the 2008-09 Crisis: Variegated Neoliberalism in Mexico and Turkey.' Environment and Planning D: Society and Space, 32 (6). ^ Charles P. Kindleberger and Robert Aliber (2005), Manias, Panics, and Crashes: A History of Financial Crises, 5th ed. Wiley, ISBN 0-471-46714-6. ^ Luc Laeven and Fabian Valencia (2008), 'Systemic banking crises: a new database'. International Monetary Fund Working Paper 08/224. ^ Fratianni, M. and Marchionne, F. 2009. The Role of Banks in the Subprime Financial Crisis available on SSRN: "Archived copy". SSRN 1383473. ^ Shin, Hyun Song (1 January 2009). "Reflections on Northern Rock: The Bank Run that Heralded the Global Financial Crisis". The Journal of Economic Perspectives. 23 (1): 101–119. doi:10.1257/089533009797614045 (inactive 10 March 2019). ^ a b "What is a currency crisis, currency crisis definition and summary | TheGlobalEconomy.com". TheGlobalEconomy.com. Archived from the original on 2 October 2017. Retrieved 20 July 2017. ^ Markus Brunnermeier (2008), 'Bubbles', in The New Palgrave Dictionary of Economics, 2nd ed. ^ Peter Garber (2001), Famous First Bubbles: The Fundamentals of Early Manias. MIT Press, ISBN 0-262-57153-6. ^ "Transcript". Bill Moyers Journal. Episode 06292007. 29 June 2007. PBS. ^ Justin Lahart (24 December 2007). "Egg Cracks Differ In Housing, Finance Shells". Wall Street Journal. WSJ.com. Archived from the original on 13 August 2017. Retrieved 13 July 2008. It's now conventional wisdom that a housing bubble has burst. In fact, there were two bubbles, a housing bubble and a financing bubble. Each fueled the other, but they didn't follow the same course. ^ Milton Friedman and Anna Schwartz (1971), A Monetary History of the United States, 1867–1960. Princeton University Press, ISBN 0-691-00354-8. ^ '1929 and all that', The Economist, 2 October 2008. ^ J. M. Keynes (1936), The General Theory of Employment, Interest and Money, Chapter 12. (New York: Harcourt Brace and Co.). ^ J. Bulow, J. Geanakoplos, and P. Klemperer (1985), 'Multimarket oligopoly: strategic substitutes and strategic complements'. Journal of Political Economy 93, pp. 488–511. ^ R. Cooper and A. John (1988), 'Coordinating coordination failures in Keynesian models.' Quarterly Journal of Economics 103 (3), pp. 441–63. See especially Propositions 1 and 3. ^ a b c D. Diamond and P. Dybvig (1983), 'Bank runs, deposit insurance, and liquidity'. Journal of Political Economy 91 (3), pp. 401–19. Reprinted Archived 29 August 2012 at the Wayback Machine (2000) in Federal Reserve Bank of Minneapolis Quarterly Review 24 (1), pp. 14–23. ^ a b M. Obstfeld (1996), 'Models of currency crises with self-fulfilling features'. European Economic Review 40 (3–5), pp. 1037–47. ^ Eichengreen and Hausmann (2005), Other People's Money: Debt Denomination and Financial Instability in Emerging Market Economies. ^ Kindleberger and Aliber (2005), op. cit., pp. 54–58. ^ 'Of manias, panics, and crashes', obituary of Charles Kindleberger in The Economist, 17 July 2003. ^ Kindleberger and Aliber (2005), op. cit., p. 54. ^ Kindleberger and Aliber (2005), op. cit., p. 26. ^ Kindleberger and Aliber (2005), op. cit., p. 26 and pp. 160–2. ^ Strauss Kahn D, 'A systemic crisis demands systemic solutions', The Financial Times, 25 September 2008. ^ 'Don't blame the New Deal' Archived 29 December 2016 at the Wayback Machine, New York Times, 28 September 2008. ^ a b George Kaufman and Kenneth Scott (2003),'What is systemic risk, and do bank regulators retard or contribute to it?' Archived 9 September 2008 at the Wayback Machine The Independent Review 7 (3). ^ 'FBI probing bailout firms' Archived 26 September 2008 at the Wayback Machine, CNN Money, 23 September 2008. ^ Kothari, Vinay (2010). Executive Greed: Examining Business Failures that Contributed to the Economic Crisis. New York: Palgrave Macmillan. ^ Craig Burnside, Martin Eichenbaum, and Sergio Rebelo (2008), 'Currency crisis models', New Palgrave Dictionary of Economics, 2nd ed. ^ 'The widening gyre' Archived 29 December 2016 at the Wayback Machine, Paul Krugman, New York Times, 27 October 2008. ^ R. Cooper (1998), Coordination Games. Cambridge: Cambridge University Press. ^ P. Krugman (1979), 'A model of balance-of-payments crises'. Journal of Money, Credit, and Banking 11, pp. 311–25. ^ S. Morris and H. Shin (1998), 'Unique equilibrium in a model of self-fulfilling currency attacks'. American Economic Review 88 (3), pp. 587–97. ^ A. Banerjee (1992), 'A simple model of herd behavior'. "Quarterly Journal of Economics" 107 (3), pp. 797–817. ^ S. Bikhchandani, D. Hirshleifer, and I. Welch (1992),'A theory of fads, fashions, custom, and cultural change as informational cascades'. "Journal of Political Economy" 100 (5), pp. 992–1026. ^ V. Chari and P. Kehoe (2004), 'Financial crises as herds: overturning the critiques'. "Journal of Economic Theory" 119, pp. 128–150. ^ C. Avery and P. Zemsky (1998), ' Multidimensional Uncertainty and Herd Behavior in Financial Markets'. "American Economic Review" 88, pp. 724–748. ^ M. Cipriani and A. Guarino (2008) 'Herd Behavior and Contagion in Financial Markets'. "The B.E. Journal of Theoretical Economics" 8(1) (Contributions), Article 24, pp. 1–54. ^ a b c Harmon D, Lagi M, de Aguiar MAM, Chinellato DD, Braha D, Epstein IR, Bar-Yam Y. (2015). “Anticipating Economic Market Crises Using Measures of Collective Panic.” Archived 22 July 2015 at the Wayback Machine PLoS ONE 10(7): e0131871.doi:10.1371/journal.pone.0131871. ^ What a Sovereign-Debt Crisis Could Mean for You, "Prof. Rogoff and his longtime collaborator Carmen Reinhart, at the University of Maryland, probably know more about the history of financial crises than anyone alive." ^ "Law of easy money". The Economist. 13 August 2009. ISSN 0013-0613. Retrieved 16 October 2016. Financial Crises: Lessons from History. BBC. Rescuing our Jobs and Savings: What G7/8 Leaders Can Do – policy proposals from leading economists, sponsored by Centre for Economic Policy Research at VOXEU.org. OECD response to the economic crisis. OECD. Academic paper about the effect of the financial crisis on the venture capital industry . Academic paper, From Newton to Financial Crisis, about how to understand financial crisis from the viewpoint of nature science and science history .